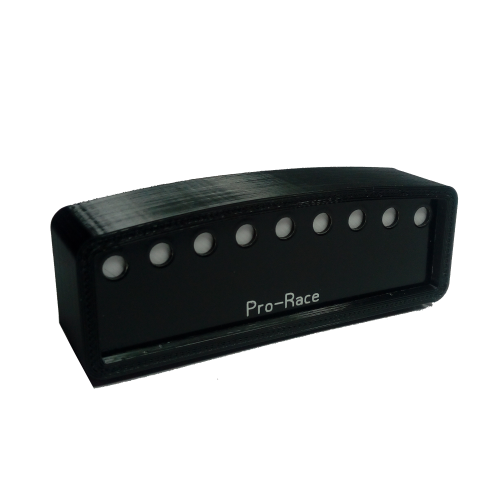 The Pro-Race Micro shift array display is a small device that contains nine bright multi-color LEDs. Each LED is able to display an almost infinite number of colors. 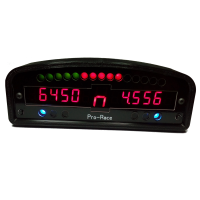 Different colors and blinking states can be configured for different value of engine RPM. Configure each LED individually, specifying at which value of engine RPM they will switch one, with which brightness, color and if they will be blinking or not. 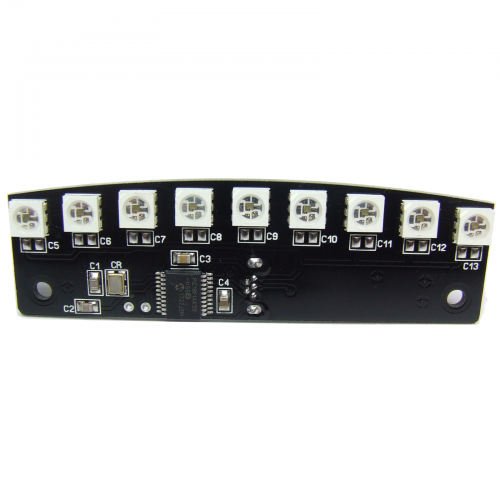 More conditions can be specified for each LED, so they can show different color or blinking states in different situations. Delete all the existing settings and start with a fresh empty configuration. Quickly configure all the LEDs at once instead of one at the time. Import an existing configuration or Export the existing one: you can make a backup of you settings or have different configurations that you use with different cars or different simulators. 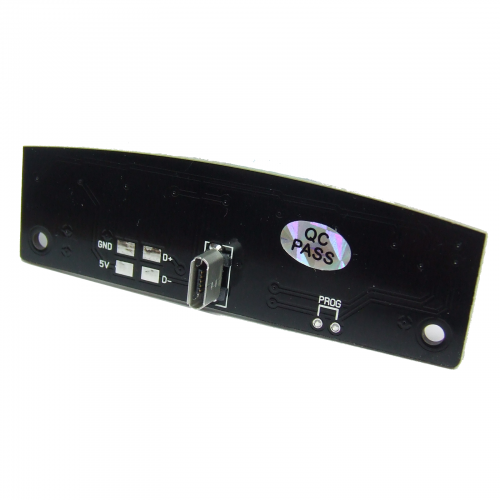 Click the LED you want to configure and the screen above will be displayed. At the beginning it will be empty because the LED doesn't contain any setting. Click the "New..." button to start the configuration. In the picture below the LED is being configured to switch on when the engine RPMis between 6000 and 7000 and the LED will blink fast when this happens. Because the LEDs can display millions of colors but these colors can have different brightness levels, the Brightness slider is used to make the brightness of the LED similar to the brightness of the LEDs around it. Don't worry if the LED is too bright for your eyes, there is a Global Brightness setting that will adjust the brightness of all LEDs at once. Instead use the Brightness slider in this screen to adjust the brightness of the LED if it is too bright compared to the LEDs around it. Note that the LED is not capable of representing all the colors that you see on the screen. In particular the very dark ones like grey are not displayed correctly. Some are only approximated, but most of them work well. Display the BLUE color when the engine RPM are above 7.000 and to blink fast. If the engine is NOT above 7.000 RPMthe second condition is evaluated: if the engine is above 6.000 RPM the LED will be RED and won't blink. So the conditions that determine the color of a LED are evaluated from TOP to BOTTOM and the first one that is satisfied sets the color of the LED and whether is blinking or not. Move the condition UP or DOWN in the list. The order of the conditions is important because it is the FIRST one that is TRUE that will set the color of the led. A condition can be edited to change the value of RPM or the color of the LED or the blinking. The button with the Light Bulb will switch the LED on with the color and brightness specified in the condition. It's useful to check if the color we chose looks good or how its brightness compare to the LEDs around. If necessary the brightness can be adjusted. 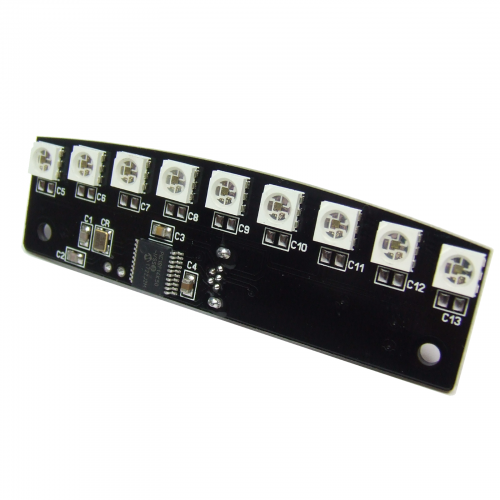 Use the Global Brightness slider to quickly adjust the brightness of all LEDs at the same time. Where are 32 steps available. Use the Quick Config Wizard to quickly configure all the LEDs at the same time, rather than one at the time. 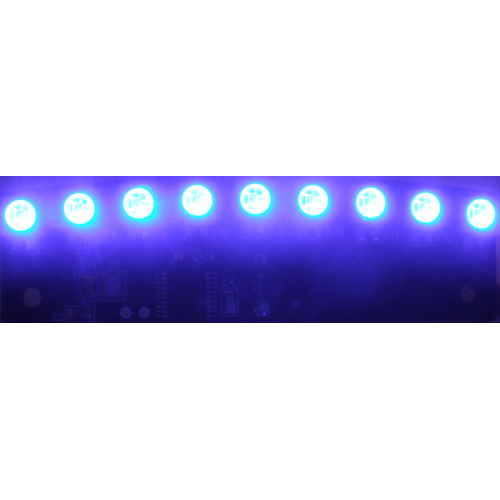 The color of each individual LED can be fine tuned later if necessary. The RPM value at which the first LED is switched ON. The RPM value for the last LED. The color for all the LEDs. The color can be adjusted later editing each single led if necessary. The brightness of the LEDs. This is the brightness of the LEDs when the Global Brightness setting is at 100%. The color of the LEDs when blinking. The speed of the blinking. And the brightness of the LEDs when they are blinking. 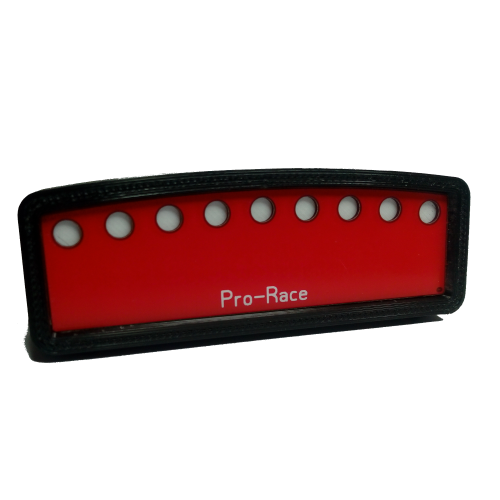 An optional 3D printed enclosure is available, with RED or BLACK front panel.